The early twentieth century is often referred to as the “Progressive Era” because of the significant political changes that happened during the period. In addition to the 16th Amendment that allowed for the implementation of a federal income tax, states were stripped of their representation in Washington D.C. through the direct election of Senators made possible by the 17th Amendment. For those whose goal was the replacement of a constitutional republic based on individual rights with a socialist democracy based on mob rule, this was a time of great success. In addition to legalizing direct taxation (1913), disenfranchising the states (1913), and gobbling up land through the creation of the National Park Service (1916), the progressives also began lobbying for initiatives and referendums as a way to push America toward direct democracy. It worked. Between 1898 and 1918, more than half of the states held votes on adopting the initiative process in some form or another and nearly all of them adopted it. Idaho did so in 1912. You can read the full history of initiatives in Idaho, but the history doesn’t adequately explain the impact of the vast technological changes that have taken place over the last few decades. It is far easier today for paid signature gatherers to use detailed mapping software and precise demographic data to pinpoint their efforts and to quickly amass tens of thousands of signatures—not even necessarily of people who agree with them. Many people sign initiatives just to get pushy signature gatherers to leave them alone. That is part of the reason why the Idaho Legislature made the process a little bit more difficult in 2013. It didn’t seem to help much. In 2018, two initiatives made it on to the ballot, including Prop 2, which eventually passed and forced Idaho to expand the socialist Medicaid program in the state. Perhaps the more fundamental question, though, is does Idaho really need the initiative process? Does it serve the interests of Idahoans or those of wealthy progressive outsider groups who use their vast resources to push liberal goals like gun restrictions, “red flag” laws, minimum wage hikes, and increased welfare programs? The reality of modern politics is that national special interest groups literally hold regular meetings with big maps spread out on the table and debate which states, counties, or cities are the most appealing targets for their efforts. (Why do you think Marsy’s Law keeps coming back to Idaho every year?) They identify their targets and then deploy their lobbyists, signature gatherers, and astroturf “community organizers” to begin the process of notching up another win for their donors. As Idaho grows, so does its profile for these sinister efforts. This state has long been at the bottom of almost all such lists, but that is quickly changing. Idaho is now a primary target and the initiative is the unguarded backdoor which gives these entities an easy road to the ballot. This is why Idaho absolutely needs the initiative process to be more difficult, but the efforts to protect Idaho from these progressive infiltrators can’t stop there. Urban renewal too must be neutered (if it can’t be killed) and the “local option” tax must be prevented at all cost. We have seen what happened to Oregon, Washington, and Colorado. It’s happening now in Arizona, and Idaho is not far behind. The urban progressives will soon outnumber the rural conservatives and, without careful planning and the dutiful implementation of necessary safeguards, Idaho will fall. Senate Bill 1159 is a good idea and even now that it is likely to be significantly scaled back by House Bill 296, it is still an important step in the right direction. The initiative is a dangerous weapon in the hands of our enemies and has seen little effective use by our allies in recent times. While some conservatives have argued for preserving the status quo in hopes that the process might one day be turned to their advantage, there is little reason to anticipate such a turn of events. 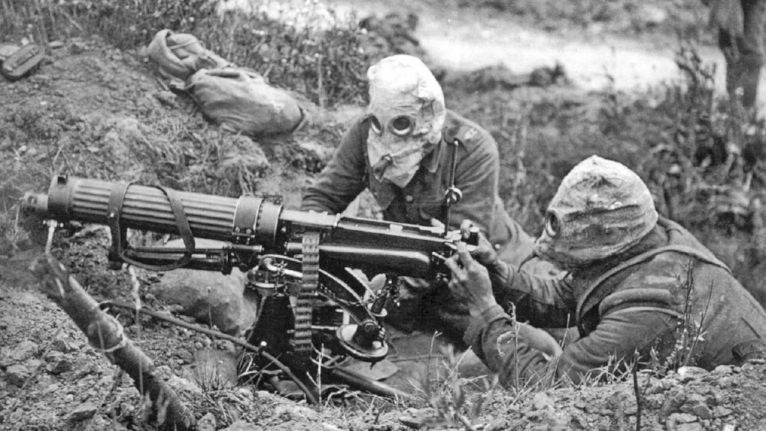 If the enemy has a machine gun nest, do you take it out or do you allow your men to be cut down in the hopes that you may eventually be able to capture the weapon and turn it against your enemy? Idaho conservatives have a long history of underestimating the opposition and failing to do what is necessary to achieve victory. Let’s hope they do not make this same mistake yet again. BREAKING NEWS: Idaho Legislature Passes Permitless Carry 54-15!